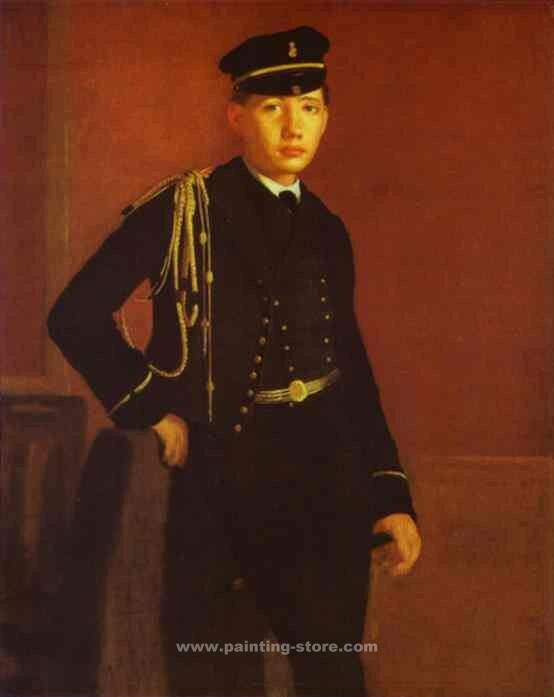 Portrait of Achille de Gas in the Uniform of a Cadet. degas94 - AMAZON OIL PAINTING CO.,LTD. Portrait of Achille de Gas in the Uniform of a Cadet. 1856-57. Oil on canvas. The National Gallery of Art, Washington, DC, USA. Title: Portrait of Achille de Gas in the Uniform of a Cadet. Copyright (c) 2005-2019 www.painting-store.com All Right Reserved.